Today, September 6, is Fight Procrastination Day. About a week ago, I decided this would be a great topic for a blog post. But then Labor Day weekend came and went, and this morning found me sitting at my desk, typing furiously, finally putting down all the thoughts that have been bubbling in my brain while I enjoyed some downtime these last few days. Thankfully, I work well under deadline pressure, so knocking out a quick blog post isn’t such a stressful way to start a short workweek. No pressure; it’s not like this blog post has huge implications for organizational success. But the process got me thinking about other things we put off doing that do have much larger implications for our organizations and the people who work inside them. In the world of KM, procrastination has a ripple effect. When an organization is slow to launch a KM program, or builds one that doesn’t keep pace with team members’ knowledge needs, the effect is felt far and wide. Teams work slower. Time slows down while people try to track down the right person to fix a problem or answer a question. Progress simply stalls. When answers aren’t readily available, everything waits, and the organization suffers. Meanwhile, the leaders who decide how much money should be devoted to KM don’t see the business case to fund the initiative, so you end up with a tiny KM budget and another year of uphill climbing. According to APQC's data, only 39 percent of organizations have formal KM business cases that articulate the expected benefits and impact of applying KM to business opportunities. When you put off creating that business case, KM goes nowhere. An effective KM program ties every person in the organization to the expertise and answers they need, all the time. When a team runs into a challenge, they don’t have to email Bob to ask who can fix it, then wait while Bob tracks down Jen to see if she can provide the answer. They can go directly to the right information source and find the answer themselves. A sound KM infrastructure makes that possible, but it doesn’t happen in a vacuum. Someone has to research the best ways to get information into people’s hands, develop those processes and systems, and populate them with organization-specific knowledge. It’s a huge task, with many moving parts and many people who have to take a little time away from their regular work to provide input. 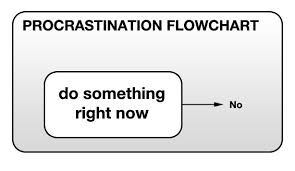 No wonder procrastination often kicks in. One of the biggest reasons people procrastinate is because they simply don’t know where to begin. Taking a first step can feel like a giant leap into uncertainty, so the default becomes the non-decision to let it all go and face that challenge another day. Thankfully, when it comes to knowledge management, there’s always a clear starting point: Assessing your organization’s current level of KM maturity. After all, you can’t develop a roadmap to move forward if you’re not entirely sure where you’re standing. To make it even easier, APQC already has a Levels of Knowledge Management Maturity framework that can help. Developed by a consortium of KM experts, it’s a proven system to measure and evaluate your existing KM program, so you can determine exactly where you stand and what you need to do to get where you want to be. Determining where your organization’s KM program falls within this hierarchy is surprisingly easy. The APQC maturity model has its own assessments and tools to measure your organization’s KM status. One of them is free and accessible to anyone who wants to better understand how their KM program compares to others out there. A more in-depth assessment is available to APQC members at no cost, and to non-members for a fee. APQC research has shown that organizations with documented strategies and roadmaps are three times more likely to leverage knowledge for competitive advantage, so taking this first step to assess your status can make a huge difference in the overall success of your KM program. Once you have your overall maturity rating and can see the capability gaps within your KM program, you’ll have a much clearer idea of what your next steps should be. By eliminating the uncertainty about where to begin, you’ll find the motivation you need to stop procrastinating and do what needs to be done to get more information into the hands of the people who need it. Every day that goes by without effective knowledge management is a day that opportunities are missed. Don’t let KM inertia persist for another day. Take that first step and do the quick, free assessment. You might be surprised how easy it is to take the next step, and then the next.